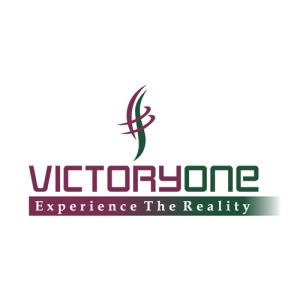 Victoryone Infraprojetcs Pvt Ltd is a widely celebrated name in the real estate sector. Their vision is to offer a luxurious lifestyle for their customers by leveraging their core strengths, viz. specialist leadership, commitment and on-time delivery, to create milestones of exemplary design & quality which benchmark the crown standards of international living. Their mission is to be known as the most creative, innovative and successful real estate company in the region known for providing high-quality, ultramodern and environment-friendly residential solutions on time. Victory One is known for its exemplary residential and commercial projects spread across Delhi-NCR. Some of their most notable projects include Victory Crossroads, G.D Goenka School, GNG Construction, SIPL, Victory One Central and Victory One Amara. These projects have been widely successful both in terms of their original concept and the execution stage. Victory One was commended for its punctual delivery and innovative architectural skills. Under the leadership of their managing director, Sudhir Agarwal, Victoryone Infraprojects Pvt Ltd has made great strides in the real estate industry. Some of their commercial projects have housed major brands like LIC of India, Reliance Energy, AWHO, NHPC, CCI, Mitsui, HSCC, AREVA, Milan Vihar CGHS, Gyan Shakti CGHS, Army Welfare Housing Organization and Container Corporation of India.